Don and I traveled to Tallahassee this past weekend to see our girl. She was riding in the first show of the season at FSU, and we wanted to be there to support her and the team. Madison won her class! She pointed out of her division and qualified for the Regional show at the end of the year! Way to go Mads!! The team did very well all around. 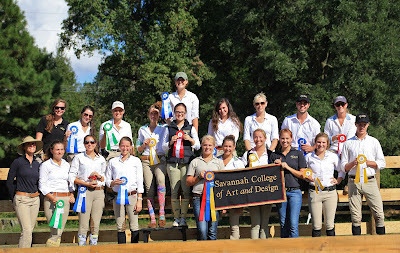 Everyone came home with a ribbon, and they were high point team for the day! Go Bees!! 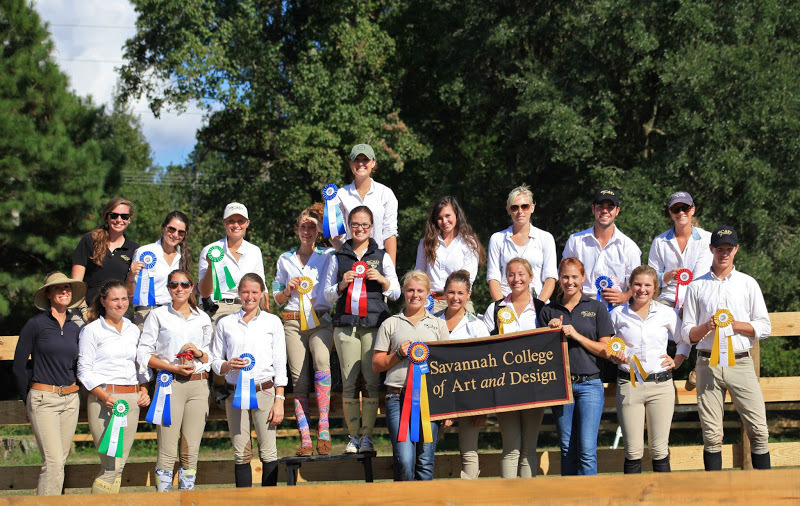 Thank you FSU and Little Pond Farm for hosting a great show!! When it comes to setting out food for a crowd, I always like to make the table look pretty. I keep a storage bin ready to go with table linens, napkins, plates, utensils, etc. I toss in some seasonal or team related decorations and I'm always ready for a party! Most decorations I find at the dollar store, so I don't spend a lot. To save money on table linens I buy discount fabric and I use iron on fabric tape to create hems. It is cheap and easy for this non-sewing girl! Another money saving tip is to be on the lookout for baskets that go on clearance. 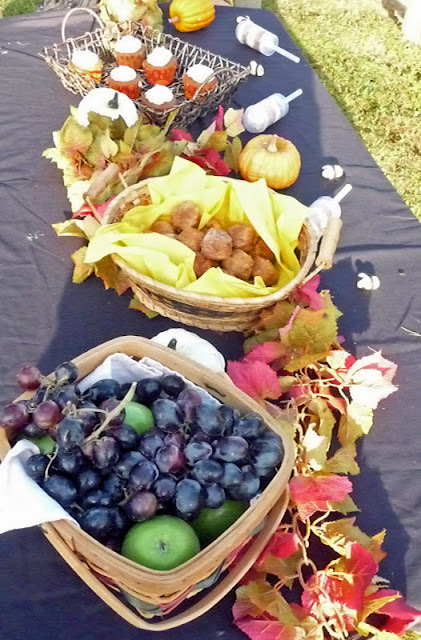 They are a quick and easy way to dress up a table and the goodies. They travel well too! These pumpkin cupcakes are easy to make and delicious. 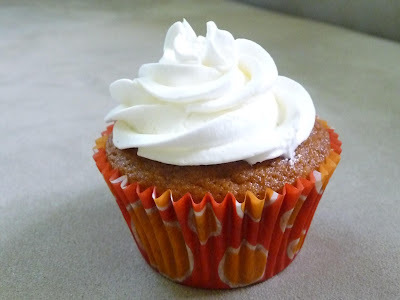 They taste just like a pumpkin pie! I cheated a little and purchased some buttercream frosting from the bakery. 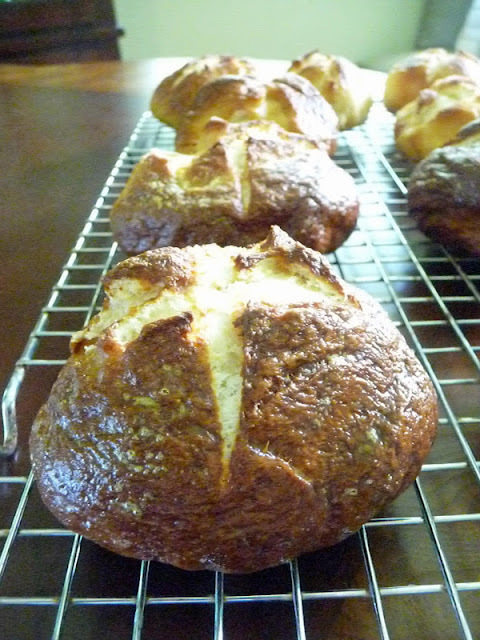 Because these were going to be outside the cream cheese frosting wouldn't hold up, but I look forward to making these again with the frosting that is in the recipe - it sounds like a perfect pairing!! So happy to be partnering with Karo Syrup this month for my allrecipes.com Brand Ambassador program! Karo Syrup, Argo, and Fleischmann's brands are making for a very tasty month!! 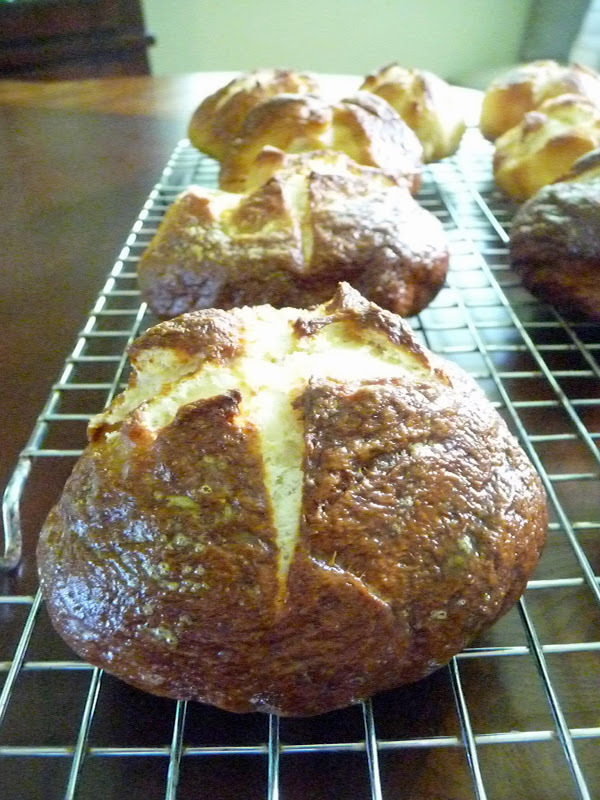 I also made these yummy pretzel rolls as part of my monthly activities. These are perfect for sandwiches and they traveled well too! this is Mikey. Because we had a table full of food - he decided to be our friend for the day! Enjoyed reading. Congratulations to your daughter! Just lovely Marion! What a wonderful spread and the table looked beautiful. Sounds like it was a lot of fun! Great blog!